Papa Cay and several other adjacent and unnamed rocks. 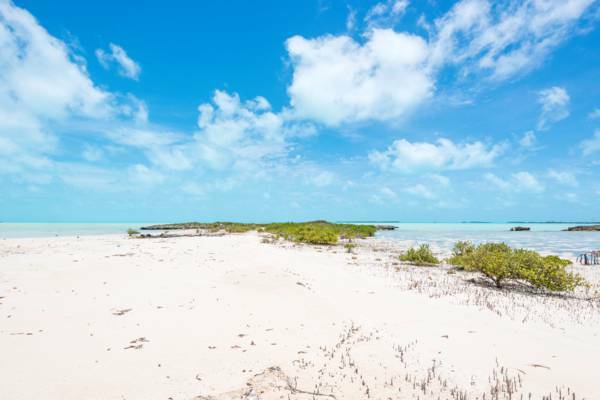 This tiny cay is found very close to the beach in the Five Cays region of Providenciales. Landmass is about one third of an acre. This little island is connected to the Five Cays coastline by a tidal sandbar.